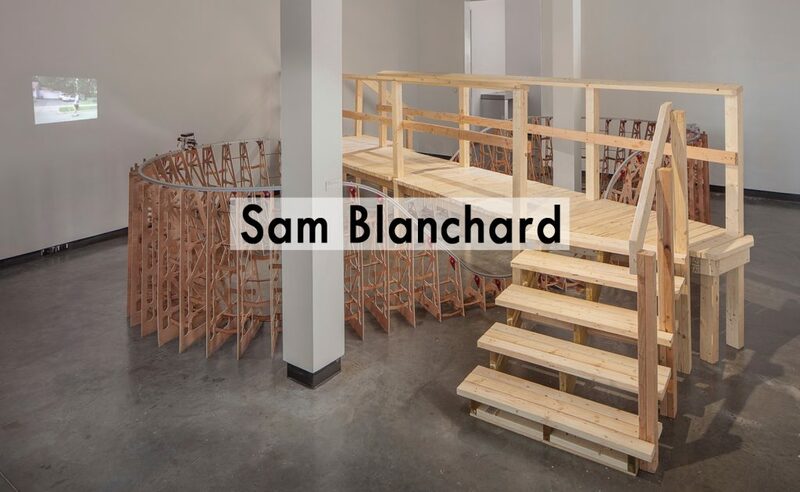 Sam Blanchard utilizes digital based fabrication methods to interweave materials with technology platforms to become extended metaphors of human experience in the age of ubiquitous computer interaction. 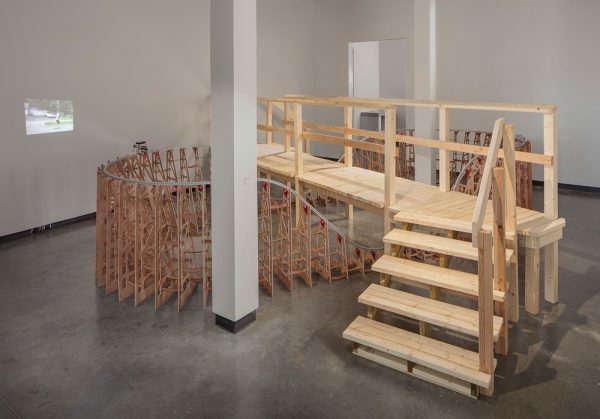 Projects take a wide variety of forms from hybrid sculptures and installation, to interactive environments and video. 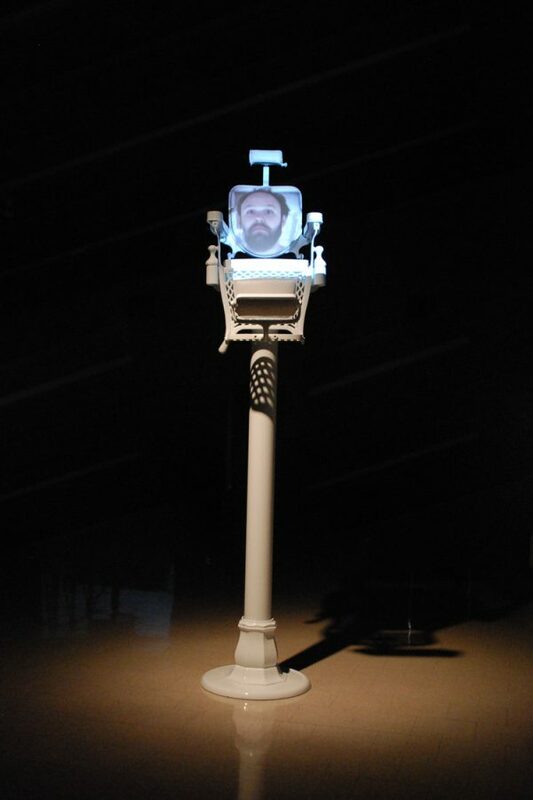 He is currently Associate Professor and Chair of the Studio Art Program in the School of Visual Arts at Virginia Tech in Blacksburg, VA. He received his Bachelor of Fine Art in 2002 from Ohio University and Master of Fine Art in Sculpture with honors from the Rhode Island School of Design. 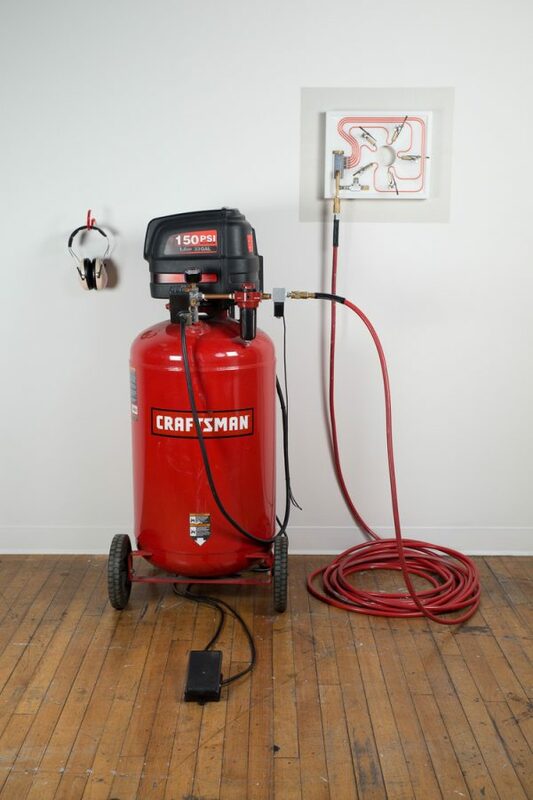 He has an active international exhibition record, with solo exhibitions at such venues as the Las Vegas Contemporary Art Center, the Delaware Center for Contemporary Art and The New Galley (Calgary, ON). 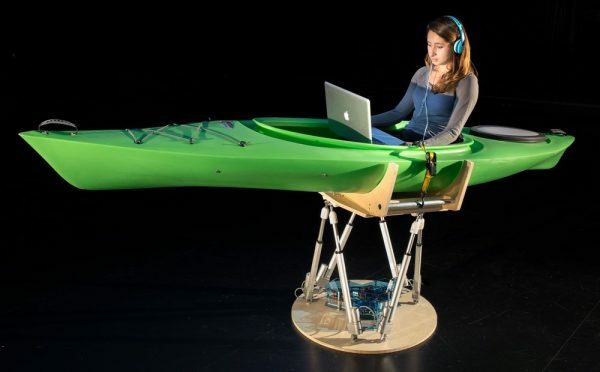 His collaborative work in the fields of computer science and engineering have been presented at South-by-Southwest, World Maker Faire and the ACM SIGGRAPH Conference amongst other high profile venues. (Principal Investigator), “Application specific protective body panels for the ESCHER humanoid robot,” Sponsored by Institute for Creativity Arts and Technology, Virginia Tech, $25,000. (July 1, 2015 – June 30, 2016). 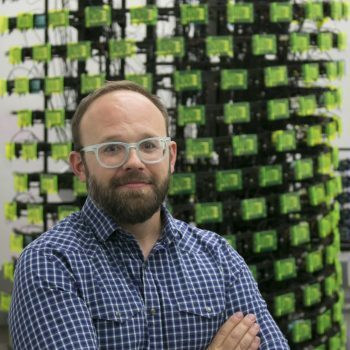 (Co-Principal Investigator), “EAGER: Kinetic Computing Sculpture: A functional parallel cluster of Raspberry Pi computers that inspire computational thinking,” Sponsored by National Science Foundation, Federal,$150,000.00. 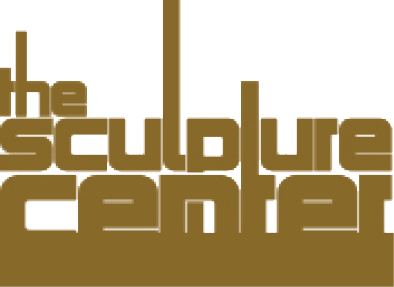 (October 1, 2013 – September 30, 2014). (Collaborator), “DARPA Robotics Challenge,” Sponsored by Defense Advanced Research Projects Agency, $1,500,000 (June 1, 2014 – Aug. 31, 2015). 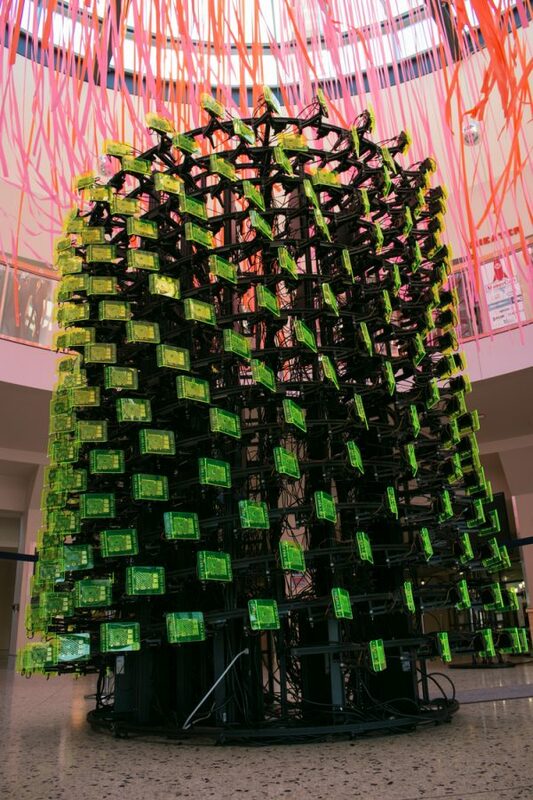 (Principal Investigator), “A kinetic sculpture and functional parallel cluster of Raspberry Pi computers,” Sponsored by Institute for Creativity, Arts and Technology, Virginia Tech, $25,831.00. (July 1, 2013 – June 30, 2014).